“To find health should be the object of the doctor, anyone can find disease”. Osteopathy is a form of manual medicine that influences health by treating and balancing the structural framework of the body. Treatment aims to increase the mobility of joints, relieve muscle tension, reduce pain and enhance blood flow and nerve supply to tissues, thereby facilitating your body’s innate healing mechanisms. 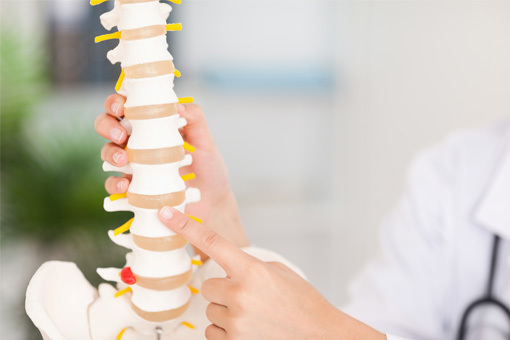 At The Health Formula, our Osteopaths use a variety of hands-on techniques to address the issues at the root of your problem. This may include deep tissue massage, myofascial release, stretching, joint mobilisation and dry needling techniques. They also provide advice on posture, ergonomics, corrective exercises, along with diet and lifestyle changes to help aid your recovery and prevent reoccurrences. Osteopath’s can treat more than you think! It’s not just back pain we treat, but also necks, knees, jaws, big toes… the list goes on! We regularly see patients who have been injured in the workplace, at home, or while playing sports. Osteopathy is suitable for people of all ages, from newborns to the elderly. Your first appointment is 60 minutes in length and begins with a detailed case history. This is where we listen to your story and review your previous medical history, helping us begin the diagnostic process. We then conduct a physical examination and movement screen, including orthopaedic and neurological testing, which allows us to diagnose your problem and formulate your bespoke treatment plan. Treatment focuses on providing you with symptomatic relief, while at the same time addressing the root of the problem. We also include education and advice for on-going self-management for lasting results. We'll provided you with specific stretches and strengthening exercises that you can do at home in order to take control and fully rehabilitate your injury, ensuring you feel great and stay that way! Why Suffer In Pain?… Book To See An Osteopath Today! This information is provided by the The Health Formula and is not intended to replace the medical advice of your doctor or health care provider. Please consult your health care provider for advice about a specific medical condition.